She writes of three levels from which the story of Eden must be viewed: as historical fact, as a series of symbols and metaphors, and as a place for a beginning our own search for spiritual understanding and relevance in life. This compelling book may change forever your perception of our first parents and the choice they made. Beverly Campbell served for twelve years as a Director of International Affairs for The Church of Jesus Christ of Latter-day Saints. As director of community relations for Special Olympics, Inc., she played a major role in the creation and developement of the Special Olympics programs. She has served on numerous civic and government boards and has been a spokesperson for the LDS Church on the Equal Rights Amendment and other women's issues. She and her husband, A. Pierce Campbell, are the parents of three children and grandparents of six. After living thirty- plus years in Washington, D.C., area, they now reside in Arizona. to have children be able to study abroad go to college, a career totally centered around being able to bless my family, my community, my church. I choose a career. I didn’t like. After 30 years working hard hours I did it because I love my family and everybody else. Others around me have been blessed because I gave my all to everyone in a way that really mattered in the lives of others. I don’t own a sports car my wife drives a safe reliable car, her time is spent at home at school or at play. Visiting grandchildren, parents. Most times I am working. I could go on. Men are not thoughtless. We make decisions that show love compassion generosity concern for others. I feel there should be a follow up book called Adam that does depict him more than a yes no hot cold right wrong. Adam could have stayed in the garden. The author insinuated, or maybe stated, that Eve knew what she was doing in partaking of the fruit, that by doing so would allow children to come into the world, but Adam was not so enlightened. The outcome was satisfactory thanks to the Savior's rescue, but we don't know what the outcome would have been if Eve wouldn't have partaken of the fruit. I'm sure the Father had a plan when he gave the commandments. Adam intended to keep all of commandments and there was no conflict until Eve's transgression and Adam had to evaluate the prospect of Eve being expelled thus not being able to keep the command to multiply. This kind of thinking makes it look like the first time God lied and Satan told the truth. (Example, "there is no other way"). Most points made are true but making them puts man against woman. Throughout the book, she elevated Eve at the expense of Adam, the co-creator of the Earth, the Father of mankind, along with several other unique titles he may hold. Having read this book when it was first publish, I cannot recommend it. The whole premise of Eve's role in the Fall is horribly flawed. It is nothing more than pure speculation on the part of the author and there is no way it can be substantiated scripturally or through the teachings of the prophets, ancient and latter-day. This book helps to clarify Eve's decision to eat of the forbidden fruit and leave the Garden of Eden. She recognized the "bigger picture" before Adam did. Leaving Eden was a consequence of eating the fruit, and was not a sin. I found the book interesting, but it wasn't all I'd hoped for. I just bought Alonzo Gaskill's new book "The Truth About Eden", I think it has a little more 'meat' in it. I'll let you know. Amazing book! It's about 183 pages; quick read. It is a very inspirational, liberating book! I recommend this to all men and women - religious and nonreligious. Great book on the subject! Dr. Campbell has done a masterful job on research and documentation of this very misunderstood and critical happening in history. She is right...women get a bad rap because of Eve's "weakness" in partaking of the fruit. That is utterly unfounded! As the author points out so beautifully, what Eve understood was that partaking of the fruit would allow them to keep the FIRST (and most important)commandment given to them by God in the Garden. What a woman! 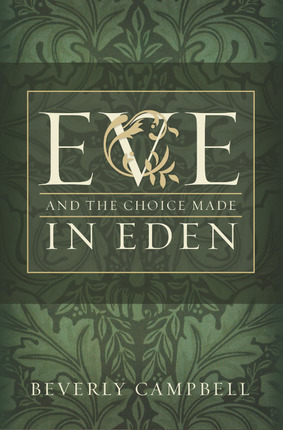 What choice Eve made in Eden! Too bad it's taken centuries for most women (and men) to understand what Eve actually did. I bought copies for my daughters and refer this book to everyone who needs to know what REALLY happened in Eden. If you don't read another book this year...this one is a must. Thank you Dr. Campbell! Every member should read. Women will probably like it better than men. 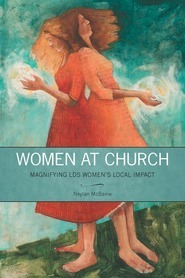 I have an extensive library of LDS books, and though this was a good book, to me, it isn't a great book. It certainly helps explain the choices made in Eden, and has great quotes by Apostles, but I felt that this was just overall an OK book. Nevertheless, for the topic at hand, this is a useful resource book. I bought this book a few years ago when I wanted to know more about Eve's role. I didn't finish it, picked it up again a week ago and haven't put it down. It gives so much insight into the Garden of Eden, the book of Moses and Eve's divine role and the divine role of women in general. It is amazing and you receive added knowledge and insight on each page in the book. A must read for every church member---every one in general. An amazing, thought provoking read. Almost as an answer to a prayer, I received the advertisment for this book. I had some questions regarding this very subject and this was the book to clarify everything for me! It is an amazing book that has given me so many new insights. With each page, I learned something new. It has re-awakened in me a strong desire to truly 'study' my scriptures and glean the great truths that are written there for me. I will never look at the story of the creation the same way. My eyes have been opened! I LOVE this book and would recommend it to everyone. This was one of the best books I ever read. It not only showed what it meant to be a daughter of God but also the great work we have to do in his plan. I recommend this book to all members of the church both men and women so we can come to understand our unique roles in our Father's plan.